The Extreme Duty Modular Pen from Hinderer Knives is a precision designed and manufactured self-defense implement that has been built to take the toughest abuse. The traction grooves are placed in a manner that is comfortable, while still providing a firm grip when used in a CQB role. 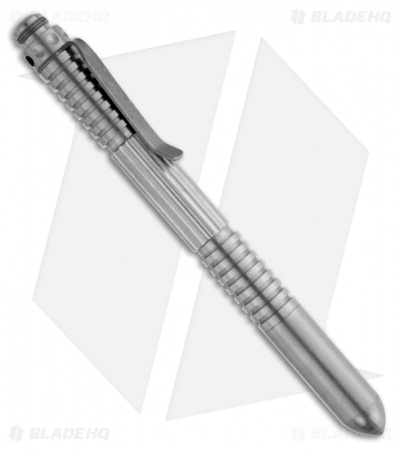 The Extreme Duty Pen has a modular design so that it can be customized with attachments to fit the user's specific needs. The threads are course and tall to handle hard strikes. 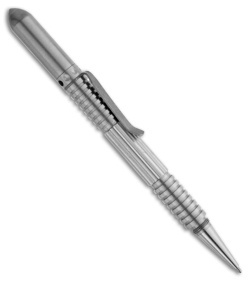 The Extreme Duty Modular Pen uses a replaceable Fisher Space Pen cartridge. This model features a Stainless Steel body.